Ramganga River flows through the periphery of the renowned Corbett National Park. This river offers immense opportunity for fishing and angling junkies. Corbett National Park is not just apt for witnessing the wilderness of tigers and other exotic fauna species, it is great a place to enjoy fishing and angling as well. Fishing in Ramganga River can be enjoyed in its upper stream- Upper Ramganga. 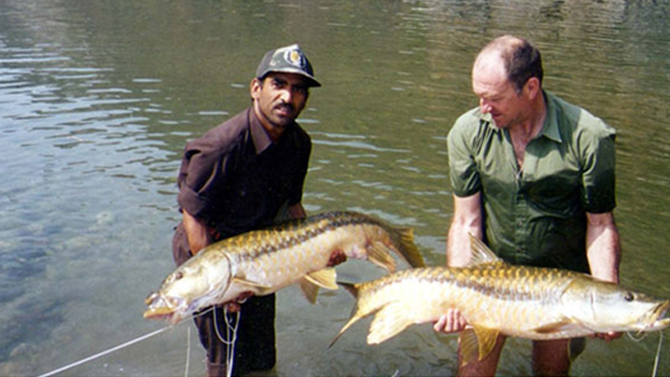 The river abodes copious species of fishes such as Mahseer, Goonch and Brown Trout. The permission from Divisional Forest Officer (DFO) is required to relish the recreational activity in the park. Forming the eastern boundary of Corbett National Park from Mohan to Ramnagar, Kosi is abundant with Mahseer fish. Betalghat and Chhara are termes as best fishing and angling spots in this river. The enthralling panorama around the river spruces up the delight of enjoying this engaging activity. 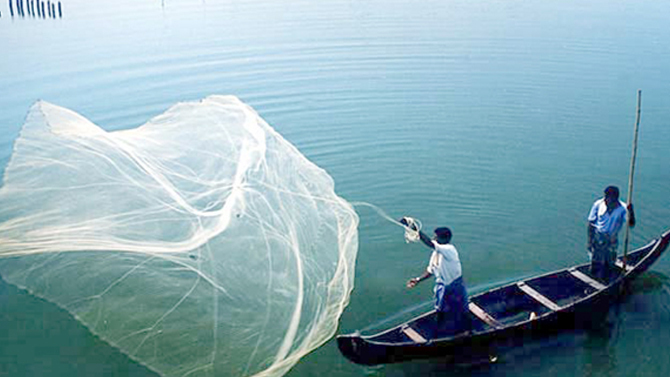 There is a requirement of taking the permission from the government authorities for fishing in Kosi. Best Time: Fishing can be enjoyed all through the year. However, monsoon is considered best time as the river remains replete with Mahseer during this period. Pancheshwar, an exquisite village in Champawat District of Uttarakhand, is among the best places for angling in India. The Mahakali River flowing through the region offers great opportunity for the fishing as it is abundant with Mahseer fish. The gem-cleared water of the river renders night fishing that is highly popular among the fishing enthusiasts and it can be carried out under the guidance of local guides. International Angling Competition is held every year here in March. Travelers from all around the blue planet horde at this place to take part in this competition. With the beautiful Jia Bhoroli River, Assam registers its name in the ideal places for fishing and angling in India as well. Enjoying the revitalizing recreational activity in the midst of spellbinding vistas tenders an unsurpassed pleasure to every traveler. Thus, there is a great influx of fishing buffs here. 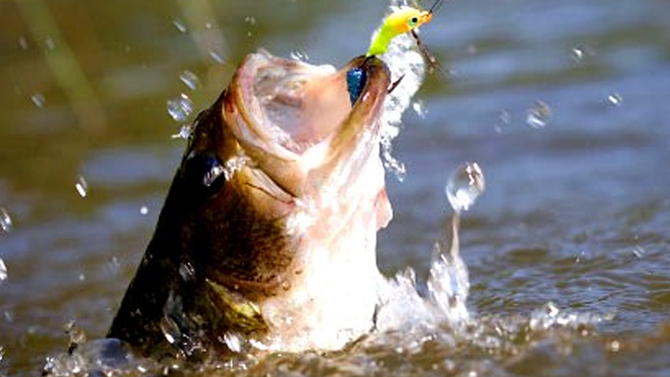 There is organized annual angling competition in November by state forestry department. 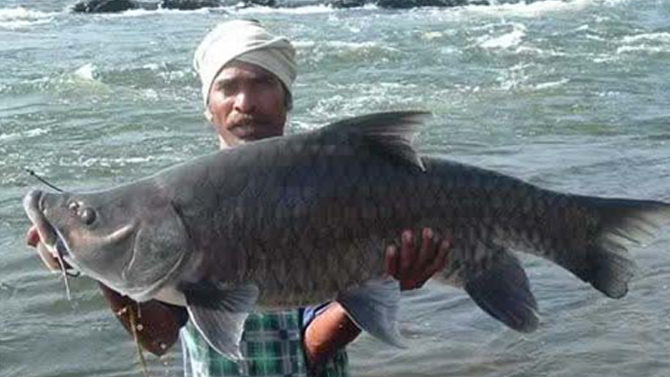 The major fish species found in the river are Gorua, Golden Mahseer, Boka, Saal and Korang. Pabbar Valley is positioned 80 kimoeters northeast from Shimla. This region is a zigzag of several rivers and their tributaries originating from Punjab . Especially, Pabbar River is famed among the tourists for boasting enticing availability of Golden Mahseer. The rivers in this valley offer enormous stock of fish species such as Catfish, Brown Trout, Catla and Rohu. Himachal Government made the classifications of the rivers under General and Trout categories. 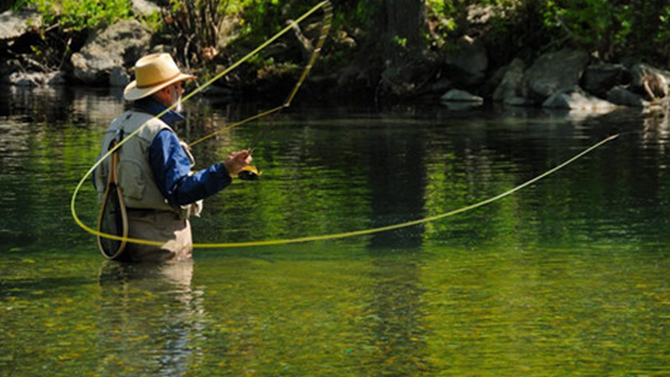 Only line or rod fishing is permitted in Trout waters with a special permission granted by the state government. Fishing and angling is among the exceptional leisure activities undertaken by the fishing enthusiasts in the south Indian state of Karnataka. Government of Karnataka runs angling camps across the gleaming waters of Kaveri River boasting quite a lot of varieties of Mahseers. Interestingly, the Mahseer is known as the pride of Kaveri River and diverse concrete steps have been taken to look after the habitation of Mahseer. Usually, the state government runs the fishing and angling camps in Himachal and it allows the catch and release practice is followed. The glinting streams flowing in Munnar and Elephant Lake render a pleasing experience of fishing and angling. 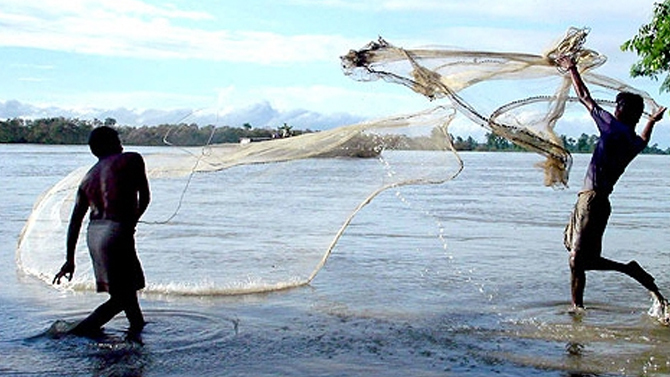 Thus, Kerala serves as an appealing destination for fishing freaks. The streams here encompass huge amount of Mahseer, Trout Fish, etc. The intriguing panorama adds up to the charm of enjoying this recreational activity. Other than the paradise for nature lovers, Jammu and Kashmir state is also a wonderful place for the freaks of fishing and angling. There are various immaculate lakes such as Dal Lake, Anchar Lake and Nagin Lake offering immense opportunity for angling. Some of the rivers apt for this engaging activity are Doodh Ganga, Sindh, Lidder, Krishen Ganga Noobug. 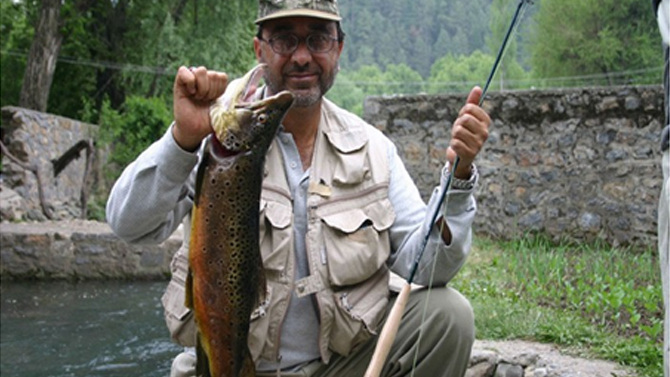 The waters in Kashmir are chock-full of Rainbow Trout and German Brown fishes. Fringed by the azure waters from all sides, Andaman and Nicobar archipelago offers fishing enthusiasts the experinece that remains etched in their minds forever. 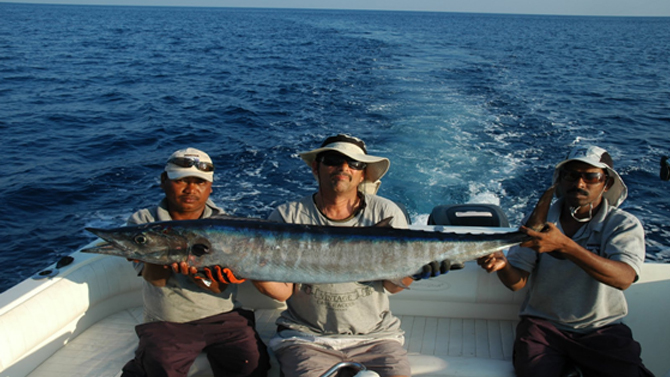 The streams of Andaman abodes various species of fishes such as Black Marlin, Dorado, Dogtooth and Yellowfin Tuna. Havelock Island is famous among the tourists for saltwater fishing. Spellbinding the tourists with the surreal beauty endowed by the nature, Meghalaya is certainly a destination that can be a photographer’s fantasy. Other than its scenic beauty, Meghalaya is gaining immense reputation as a perfect destination for fishing and angling enthusiasts. Kynshi River flowing in Ranikor, which is located around 5 hour driving distance from Shillong, holds the copious stores of fishes such as Goonch, Eels, Chocolate Mahseer and Golden Mahseer. The fishing freaks can choose among any of the place mentioned above and can clutch the moments to cherish throughout the life. Fishing and angling at any of these picturesque places in India render a vacation experience that can indeed be compared to none.